Perfect addition to the red rockers and tan gliders and chairs on the back patio. Good price for value too. They are sturdy and withstand the rain and heat of the sun on our pool deck. I will also use them in the house around Christmas time for my guests to have their own little table to lean on. This is on my porch. Great to put your drink on. I have so many of these tables I've lost count and I'm ordering more! They are great! Colors are beautiful and they fold up for storing! Easy to clean, too! I use them in my gardens to put my plants and garden decorations on. I highly recommend! I think this a great table and would buy another one if I needed it. 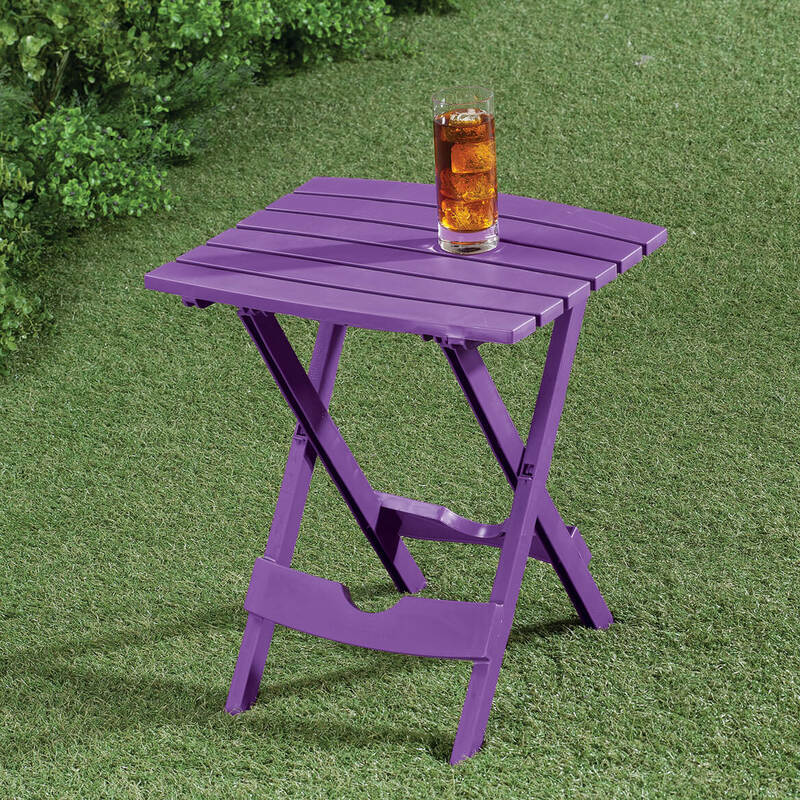 Very easy to use and great for outside when needing a side table. Wipes off easily and is a nice addition to any decor; inside or outside. Using them on my deck. These are handy little tables for a deck or patio. I like the bright blue color. It will be easy to fold them up for the winter, when we have our rainy windy coastal weather! 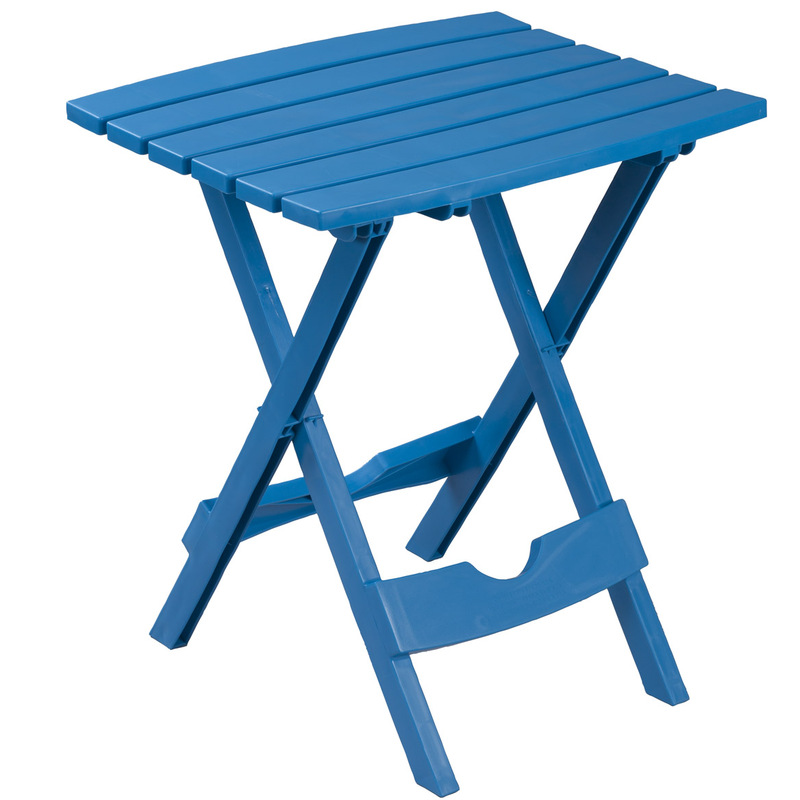 Easy to use table great for outdoors. I love my purple (favorite color) folding side tray. It's on my apartment balcony along with my little bistro set. It looks great! I thrilled because it's just like the picture only better! I use this pretty little table in a sun room next to a white wicker settee. 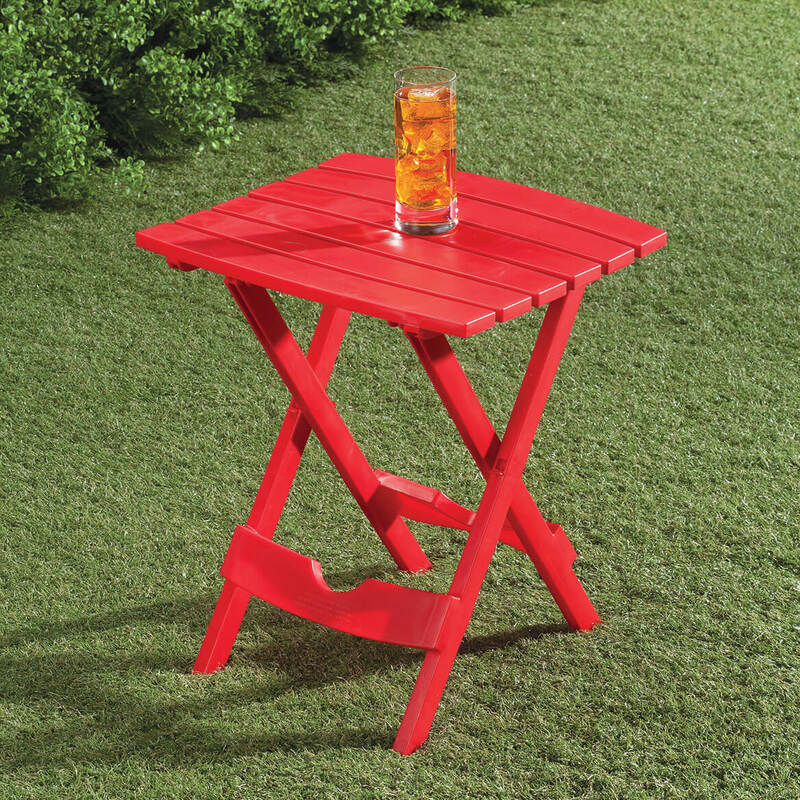 this little table is perfect when sitting on my front porch and friends drop by with drinks in hand or when I'm serving and need a bit more table space. I use it as a side table by the chair where I sit to watch tv. Just the right size for snacks or remotes. It was a gift to my husband for his birthday. Upon receiving it, he loved it, just what he wanted. However, it really is not that steady. It has also come apart and had to be clicked back together. We wanted to find a metal one, but gave this one a try. The color is great. I would buy this table again. I have a free standing electric grill on my patio and the table is perfect for sitting things on it while grilling. They go with my patio furniture. I had one of these tables before and they are so cute and useful. Perfect style and color, excellent price. This table has come in very handy inside and outside the house and it does not take up much room to store. I like the portability and the bright color. Perfect for moving from my porch to my deck when needed. good size for the price and portability. I love purple!!!! 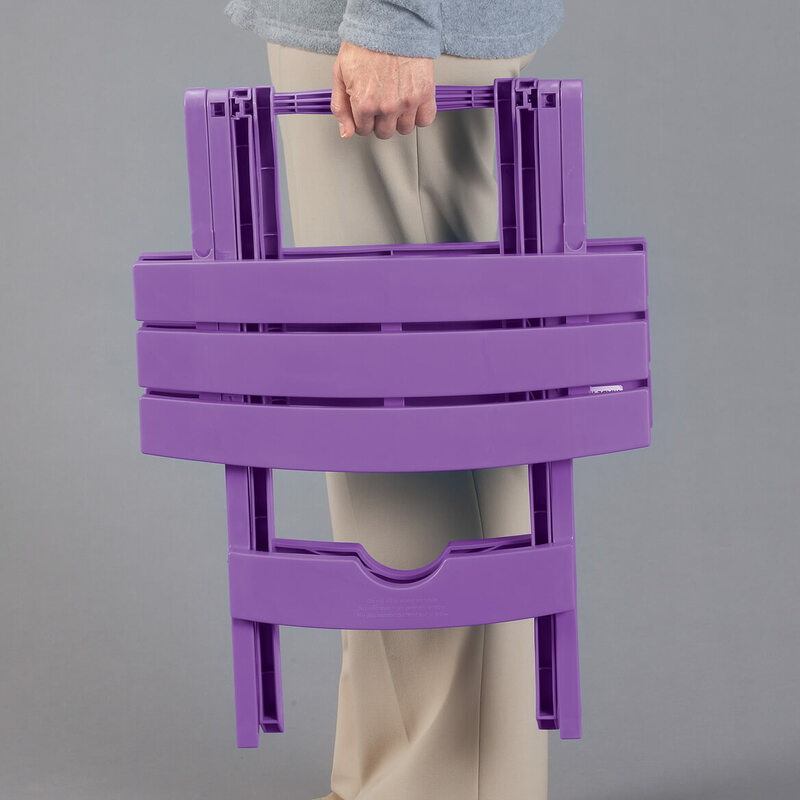 I have a purple adorondic chair it will sit next to! Your store had the best price. 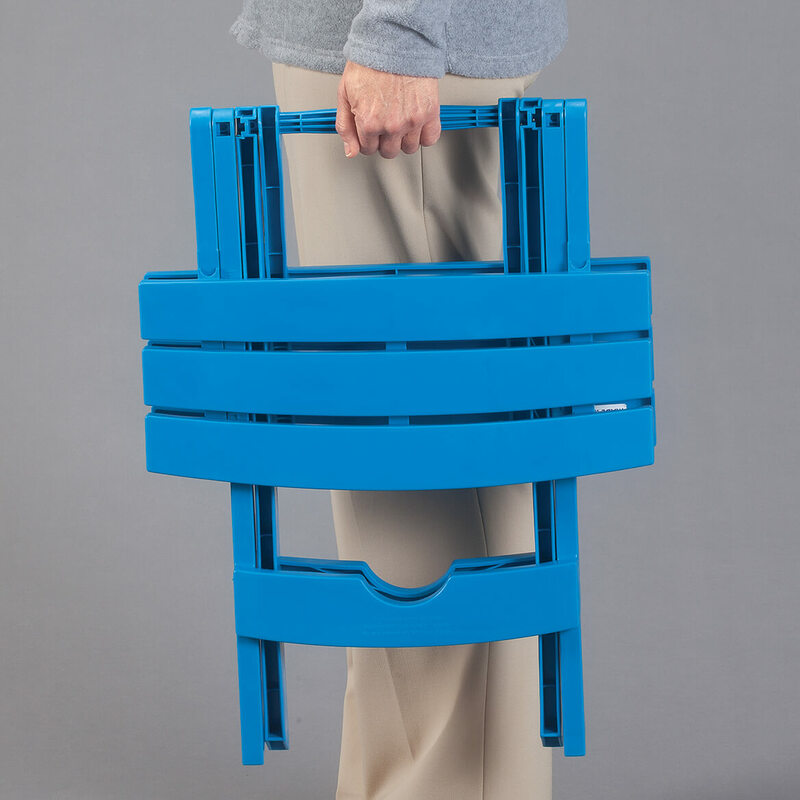 I seen a table like this at a Summer Concert in the Park & I like how easy is was to carry & setup! I have a white one and wanted another color. 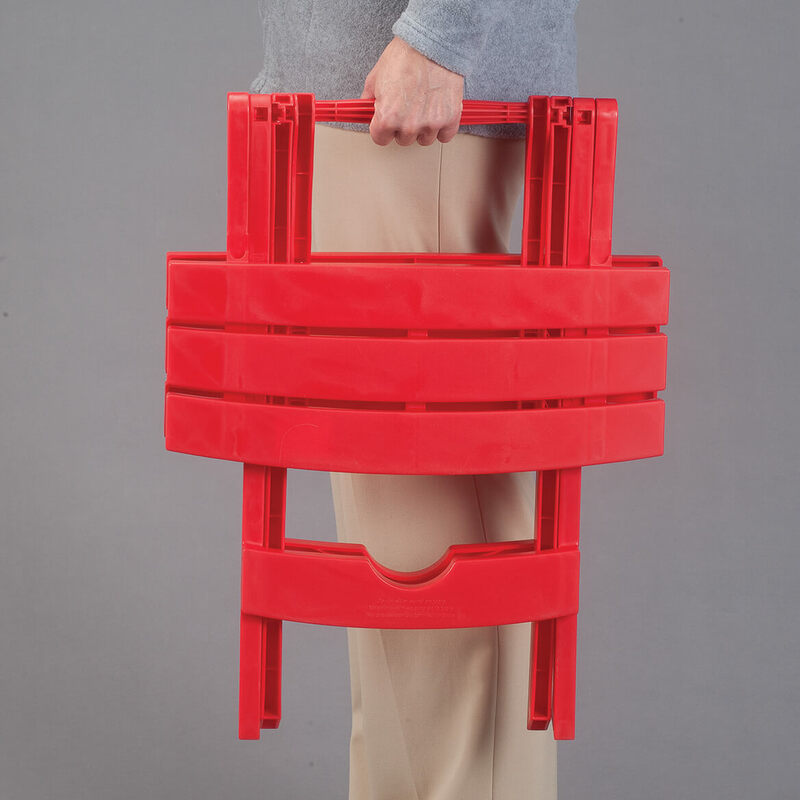 What are the dimensions folded? BEST ANSWER: Thank you for your question. The side table is 20" tall when folded. We hope this information will be of help to you. What is the wieght limit on this? BEST ANSWER: I have a real heavy planter sitting on it. The plant weighs about 23 pounds. It is a biggie. This table is real sturdy and strong.